The Faena District is a series of three buildings of bold visual impact which do not need illuminated signage to become landmarks in the city by both day and night, with their white finishes and the seductive shapes of the curves in its design. A project by Rozana Montiel +Alin V. Wallach is the Overall Winner of the ARCHMARATHON Awards 2017. The fourth edition, focussed on architecture studios working in the USA, Canada and Central and Latin America, took place from 12th to 14th October 2017 at the Faena Forum in Miami. Fiandre confirms its collaboration with the Archmarathon Awards as the sole sponsor of the ceramics section of the international architecture contest held by Publicomm. 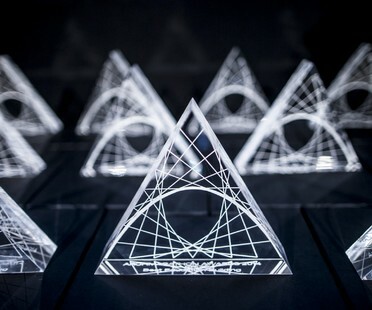 The 2017 special edition will be held at Miami’s Faena Forum, designed by OMA. 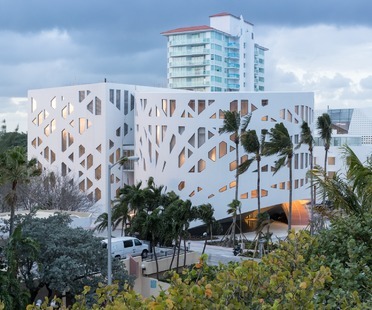 OMA’s project for the Faena District in Miami Beach was inaugurated recently. 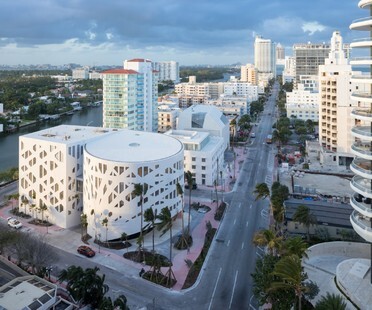 Three separate buildings, the Faena Forum, Faena Bazaar and Park, are linked by public spaces with views over the Atlantic Ocean offering the city a dynamic art, culture and design district. The natural element: water, air, light and traditional materials such as wood and stone play a key role in the home designed by Luis Pons Design Lab. Two prestigious architectural studios have presented competing plans for the Miami Beach Convention Center project: Rem Koolhaas’s OMA and BIG, founded by Bjarke Ingels. The New World Centre designed by Frank Gehry in Miami Beach, Florida for the New World Symphony’s Orchestral Academy is now open.